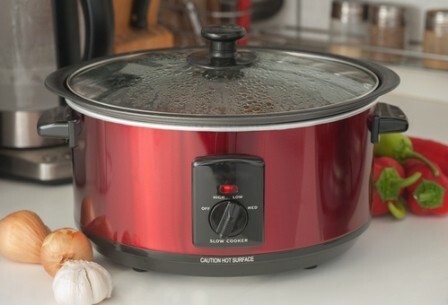 Old-fashioned gluten free recipe containing everything you need for a hearty meal. Delicious, nutrient filled grains, legumes and vegetables will keep you feeling fuller for longer. 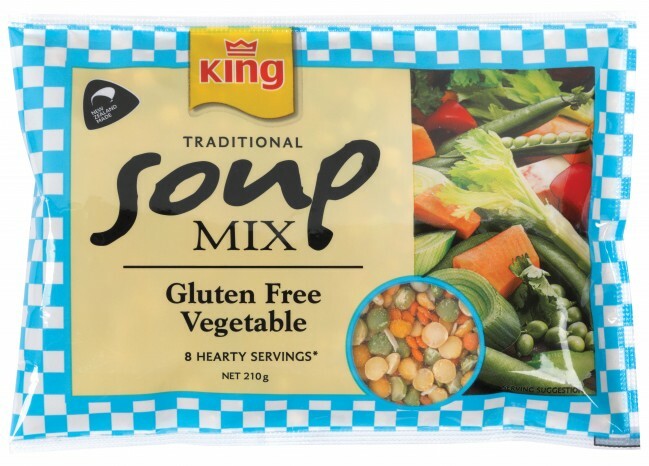 Ideal for lunch, dinner, entrees and more, King Gluten Free Vegetable Soup Mix is a simple solution to any meal. Make it even healthier by adding your favourite meats and seasonal vegetables. Delicious on its own or as a base. Ingredients: Dehydrated Vegetables & Grains (86%) [Yellow and Green Split Peas, Red Lentils, Green Peas, Carrots, Onion, Red Bell Pepper], Vegetable Flavour (contains Milk), Sugar, Rice Flour, Salt, Onion Powder, Maize Starch, Hydrolysed Vegetable Protein (contains Soy), Yeast Extract, Flavour, Flavour Enhancers (627, 631), Black Pepper, Garlic Powder, Parsley, Thyme, Anticaking Agents (551). Allergen Information: Contains Milk & Soy. May contain traces of Egg.